Like many women, there are hundreds of hair products sitting in my bathroom; however, I keep coming back to the same brands over and over. As I continue to work through my pile of never-ending products, I sometimes come across new styling products I wrote off just based on packaging. But, I’m quickly realizing you shouldn’t judge a book by its cover in life or hair products. So, here are my favorite styling products of 2016...so far. 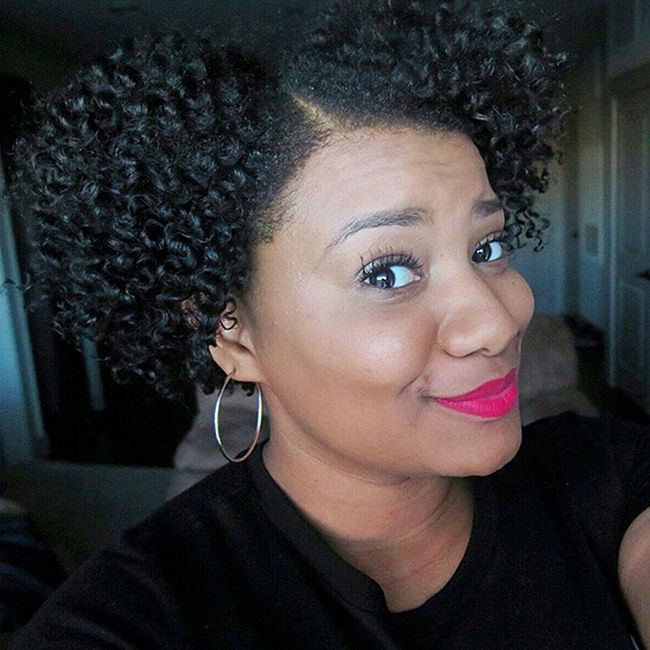 I have been a fan of Curls products for a while, especially their Blueberry Bliss Curl Control Paste. However, their recent addition of Blueberry Bliss items have been heaven sent! The Blueberry Bliss Twist & Shout Cream is a favorite and the first cream based product for the Blueberry Bliss Curls collection. Filled with organic coconut oil, safflower oil, grapeseed oil, mango seed butter (which is one of my favorites), and organic shea butter, this cream works wonders for my twist outs and braid-outs. Curls products are usually light, but this heavier cream appears to be a favorite among women with coarser, Type 4 textures like myself. The Blueberry Bliss Reparative Leave-In Conditioner is a great pair to the Twist & Shout Cream. Using both together is a great way to seal moisture into my curls for a lasting style throughout the week. Curls is launching more products from the Blueberry Bliss collection soon and I’ll be sure to report my findings after using. I stumbled upon this product by accident. In my bathroom full of products from natural hair events and expos, it took me months to even notice I had this styling cream. In an attempt to re-do a perm rod set gone wrong, I grabbed this out of my bag of products that never see the light of day. To my surprise, I was met with well defined, hydrated curls the next day. I installed the perm rods on dry hair, just spritzing water on each section and using a tad of the Eco Cocktail Cream for each rod. No flaking, no white residue buildup, no crunchiness, nothing! Just soft curls. Now, I can’t keep my hands out of this cream. I have not met a natural woman who doesn't love a good oil. However, I always wonder if I’m the only one who gets annoyed when my coconut oil is running low and I have to force my hand into the bottom of the tiny jar just to get a scoop? Nevertheless, Mixed Chicks sent me a few products and I really like the idea of an oil blend that is housed in a pump bottle. The replenishing oil is not too heavy or too light, but just the right combination when you need to refresh any dullness to your stands. Since my texture is fine and coily, it is important to find an oil that is not too heavy and this product is perfect. Key oil ingredients in this blend include carrot oil, rosehip oil, jojoba oil, and macadamia oil. Bonus points because this blend also smells very yummy, thanks to the rosehip oil. I’m also obsessed with butters, and Fro Butter has fit into my styling mix very nicely so far in 2016. Styling butters, usually shea based, work well for high porosity hair as a way to seal moisture into the hair cuticle, but they also work great to seal moisture into low porosity curlies, especially for tighter textures. I like to think of it as the best of both worlds. Installing a typical braid out with a butter-type product can yield up to three days of moisturized hair. Recently, I’ve been able to try a little bit of each butter from the fro butter line due to their convenient trial size offers for just $5.00. The butters are infused with emu oil, peppermint oil, and Jamaican black castor oil. Emu oil, also rich in linoleic acid, has been sited with aiding in hair growth because it promotes cell regeneration and awakens hair follicles. What are your favorite styling products of 2016?